We wanted to share with you some of our favourite coverage we have been receiving on our Autumn Winter Theatre of the Nameless collection! The blogging community have been raving about it! Jangsara.blogspot.com is one of hundreds of our enthusiasts and followers who have taken inspiration from the new collection and recreated the Theatre of the Nameless look for themselves. 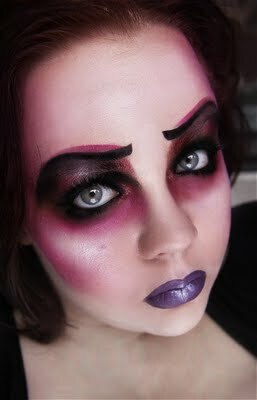 We love to see your creations, so please post them on Illamasqua Facebook. 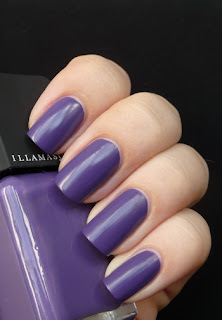 All-you-desire.com loves our new AW11 rubber-finish Nail Varnishes, so much so that she has created swatches for the full Illamasqua Nail Varnish spectrum. Thank you to All-you-desire for your hard work on the collaboration! To help you discover the new collection for yourself, we are offering you free delivery on all orders until Midnight GMT Sunday 18th September 2011. Click here and get shopping!